According to the beer lovers from Ratebeer, Antwerp beer-pub the “Kulminator” is voted as the Best Beer-Pub in the World. In 1974 Leen and Dirk founded the Kulminator. It wasn’t the first time Leen and Dirk won the price as “Best Beer-Pub in the World”, they did so back in 2007 and 2009 !”Kulminator” is the name of a 12 % brew from Kulenbach, Germany. This Antwerp beer-pub is well known among locals and beer-enthusiasts from all over the world. It’s the reason why many people specially come to visit Antwerp. 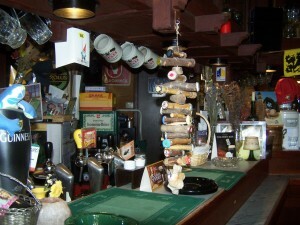 The pub has a variety of more than 800 different beers, mostly Belgian but also international. What makes this place so special is the range of aged beers –vintage beers – Dirk and his wife have in stock. The age of their vintage beer can go as old as the 1970ies ! Since 2000 Ratebeer.com let their members choose the Best Beer Bar, the Best Beer and the Best Beer-Restaurant. Congratulations Leen and Dirk !